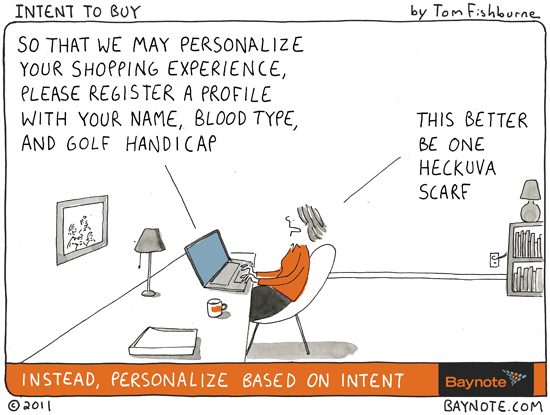 Ever since 2008 I have been banging on about personalization and how it can be used to impact sales and better still “customer engagement”. Earlier this week I attended the most excellent Travolution Summit in the exclusive and rather nice, GRANGE ST.PAULS HOTEL. I was on a panel entitled “From a one-night-stand to a steady relationship” along with Vic Darvey, Managing director new business, travelsupermarket.com and Dirk Guenther, Sabre director, Air shopping and decision support. Chaired by Travolution editor Lee Hayhurst (@leehayhurst) we discussed personalisation and how personalisation would be a key driver for OTA’s moving forward and also the impact of mobile on the travel market (a precis of the discussions key messages can be found here). We also discussed the barriers to personalisation and how you need to build it into the core of your technology. I argued that travel companies did not do a great job of getting the customer interaction right. Vic Darvey said that legacy technology and lack of innovation from travel technology suppliers, made this extremely difficult without building from the ground up to get personal. Whilst I agreed that there was a lack of innovation with the travel tech companies, its more of an outside in approach where you can harness the big data out there and just enable your inner sanctum to react to it. Vic Darvey’s views are expanded in an article on travolution.com. Disruption: something that comes along to disrupt the norm. Think mobile apps such as Uber, Hailo and twitter. Personalization: to be a player travel companies are going to have to get better at using customer data and return more relevant search results offers and prices. 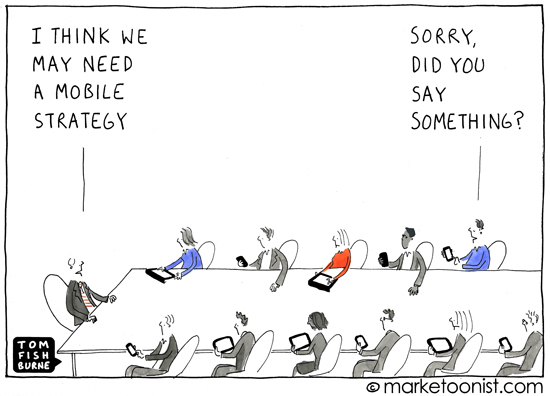 Do we have a mobile strategy? Later this week we had the Phocuswright Conference which although I didn’t attend (it was in Ft. Lauderdale Hollywood) watched avidly using the online stream from the centre stage. It was great to see the Innovation Awards going to some companies who are really trying to improve the customer experience. However, I didn’t really hear about anything this year to disrupt the industry. Interestingly the UK and USA are in sync as the themes from Travolution Summit were again echoed across the pond. So, high on the agenda were Disruption, Personalization, Trust, Mobile first and customer engagement. Two presentations of particular note were TripAdvisor’s CEO Stephen Kaufer (@kaufer) and Sam Lessin (@lessin), Facebook’s Director of Product Management. Both spoke of the “in-destination” or as Trip Advisor call it “in trip” experience and how mobile and personalization were going to “rock” the travellers experience. This entry was posted in marketing, Mobile, personalisation, Social, Tech, Travel and tagged #mobilefirst, #personalization, #phocuswright, #travosummit on November 22, 2013 by Jon Pickles.